"The time is apposite to further strengthen domestic macro-economic fundamentals," the Reserve Bank of India (RBI) said in a statement following a monetary policy committee (MPC) meeting. The decision to keep the repo rate unchanged at 6.50 percent was as predicted by 64 of 70 analysts in a Reuters poll. The central bank also retained its 'calibrated tightening' stance as expected. "Even as inflation projections have been revised downwards significantly and some of the risks pointed out in the last resolution have been mitigated, especially of crude oil prices, several uncertainties still cloud the inflation outlook," the bank said in its statement. The central bank said starting in the January-March quarter of 2019 it would begin to lower banks' mandatory bond holding ratios, by 25 basis points each quarter until it reaches 18 percent of deposits. India's 10-year benchmark bond yield was trading at 7.46 percent from 7.54 percent before the policy statement. The Indian rupee eased to 70.60 to the dollar from 70.50 before the policy statement, while the broader NSE stock index was down 0.8 percent at 1009 GMT. The RBI also slashed its inflation projection to 2.7-3.2 percent by March-end from its prior view of 3.9-4.5 percent. But, it also foresaw inflation picking up again, projecting a rate of between 3.8-4.2 percent in the first half of fiscal 2019/20, with risks tilted to the upside. "The RBI will definitely keep rates on hold for another two to three quarters, with the expectation that inflation will remain below 4 percent over the next three to four quarters," said Shashank Mendiratta, India economist with ANZ Bank. The RBI also held its economic growth forecast for the fiscal year 2018/19 ending in March at 7.4 percent. Since then the RBI's pause on rates has been in contrast to other Asian central banks, including South Korea, Philippines and Indonesia, that have raised rates. 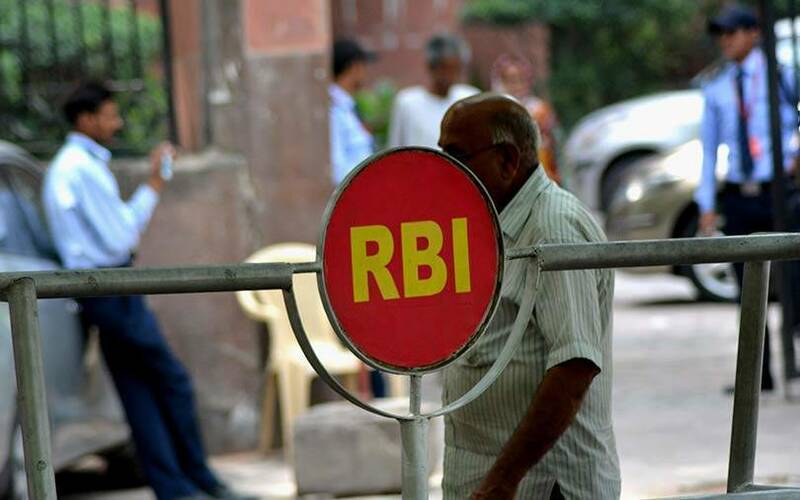 "We believe that the RBI is likely to change stance to 'neutral' in early 2019," said Aurodeep Nandi, India economist with Nomura. "We perceive that India is slowly entering into a low inflation, slowing growth quadrant." A pause in rate hikes is a welcome relief for Prime Minister Narendra Modi's ruling party as it prepares for an election that must be called by May. Modi's government has faced criticism over the distress among farmers and small businesses. The government in turn has been putting pressure on the RBI to ease lending rules and nurse a weakened shadow banking sector at a time when banks laden with bad loans have become hesitant to lend.